My DVR stopped working this week. It actually stopped working during the Emmy awards this past Sunday night. It's possibly the worst week for my DVR to stop working. It is season premiere week--somewhat of a holy week to TV lovers like me. So yeah, I tried to catch some of my shows live but I don't remember how to watch live TV anymore and my kids are up so late after practice and homework that it's impossible to get everyone out of the living room before Empire starts. So yeah, I missed some of my favorite shows and I'm bummed. This isn't a poignant post about how I turned off my TV on the day my DVR died and discovered the joy of not watching TV. Nope. I just watched Sons of Anarchy (middle of season 4 now and still LOVING it) on Netflix while on hold with my cable company. I know for sure that I am getting my DVR fixed and going to watch all the new shows because I love TV. I can't wait to watch Empire and The GoldBergs. I'm going to try and hang onto The Good Wife and Scandal, although both drove me nuts last year. I can't believe I never watched How To Get Away With Murder, but am going to this year. I'm going to miss Parenthood and Mad Men. Not sure what new shows I will pick up this season. It's escapism, entertainment, good storytelling, a good time and I just love it. Speaking of Emmy Awards, I loved this moment. Getting a second dog was a good idea, Rufus is pretty awesome. Jimmy Fallon is funny and his Empire Parody makes me laugh every time I watch it. Writing essays for sites that value vulnerability and authenticity and actually think it's pretty badass is pretty awesome. And when they put up a picture of Rick Springfield to go with your essay, it's even more awesome. Check out the piece I wrote for Mamalode last week- click here. Wade is loving kindergarten so much. I MEAN SO MUCH! He is so excited to learn and wants to try to "read" everything. Last week he fell asleep "reading" the dictionary. 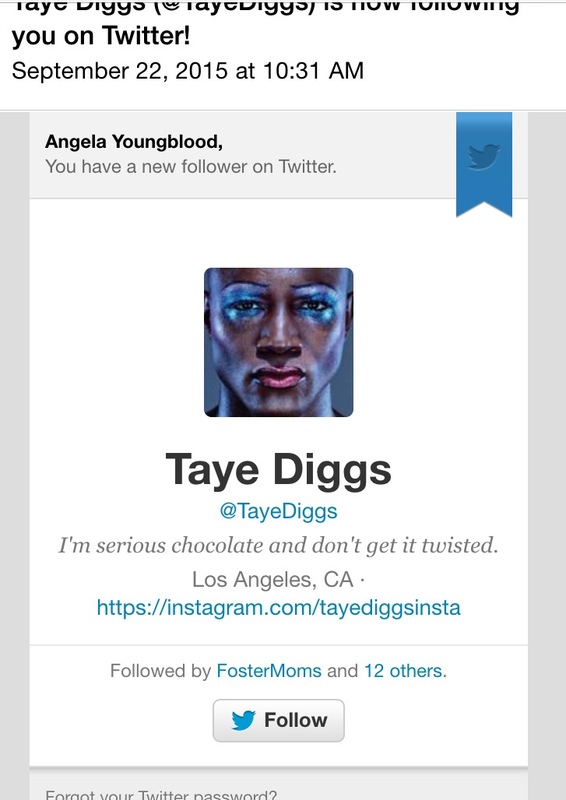 Taye Diggs followed me on Twitter which means I've made it in the "mom blogging" world. So many of my blogging friends have talked about how Taye Diggs follows them. I was all like waaaa he doesn't follow me, but you know, I'm a small-time blogger, really a nobody...until the other day. Because well, yup, he followed me on Twitter. Boosh. My friend Leigh Ann from Genie In A Blog wrote a funny post about Taye Diggs following her-- click here to read it. What do YOU know for sure this week, right now? What TV are you watching? Tell me about it here or over on my Facebook page. RIP, DVR. Love that photo of Wade. Claire has a thing for getting my biggest books off the bookshelf. I found her in bed with Lord of the Rings the other day. Ha! Thanks for the shout out! I almost couldn't read past the "DVR died" because I almost died for you. I love TV as much (Maybe MORE! I am older than you. LOL) as you and I don't know what I'd do without "my programs". Other than that...you are awesome. The way you love, live and dance....you inspire me to do better, be better, share more.